HMH Books for Young Readers, 9780544439368, 160pp. A resilient and quirky colony of church mice fears another Great X more than they fear cats. 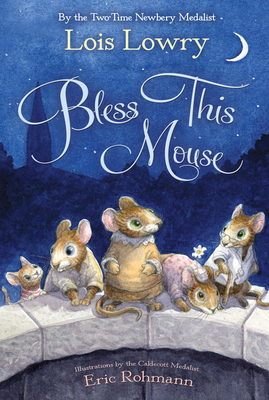 Under the Mouse Mistress Hildegarde’s leadership, a resilient group of church mice save themselves from one danger after another—sometimes by the skin of their tails! Can one ultimate act of bravery during the feast day of St. Francis get Father Murphy to bless these mice and keep them safe forever? Rife with humor and personality, this young middle-grade novel has an old-fashioned feel with the makings of a modern classic. Eric Rohmann was born in Riverside, Illinois in 1957. He grew up in Downers Grove, a suburb of Chicago. Eric won a Caldecott Honor Book award for Time Flies, and a Caldecott Medal award for My Friend Rabbit., and has written four children's books: My Friend Rabbit, The Cinder-Eyed Cats, Pumpkinhead, and A Kitten's Tale. Visit his website at www.ericrohmann.com.